A regional Third Party Logistics (3PL) provider and developer based in Harrisonburg, Virginia with a building portfolio of nearly 2.0 million SF, over 500 acres of prime industrial/commercial land, and a staff of highly experienced warehousemen. Our locations in the central and northern Shenandoah Valley, as well as Hampton Roads, allow us to serve clients on the east coast, as well as internationally, helping businesses, optimize operations and reduce unnecessary costs by successfully managing the transport and storage of materials and products. Set in the beautiful Shenandoah Valley of Virginia, JMU is a tight-knit community of 22,000 undergraduate and graduate students and 4,000 faculty and staff who come from across the country and around the world. One of the nation’s largest producers and transporters of energy, Dominion Energy serves more than 6 million utility and retail energy customers, with 16,200 employees. Farm Credit of the Virginias is part of a nationwide network of cooperative lending institutions and is now the largest single provider of agricultural credit in the United States. For over 100 years, founder Joseph Nielsen and his successors have taken great pride in creating stunning structures throughout the Commonwealth of Virginia. An employee-owned company (ESOP) since 2007, the company offers a broad range of project delivery systems from program management, construction management, and general contracting to design-build, and consulting services. For more than 100 years, Shentel has been connecting communities like yours to other towns, cities, and communities across the world, through our High-Speed Internet, TV and Home Phone services. Shentel also operates a wireless network under the Sprint brand name. 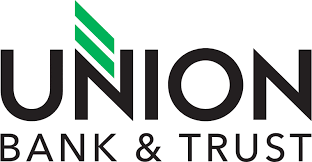 Founded in 1902, Union Bank & Trust has grown to be Virginia’s regional bank. With experienced bankers in the communities they serve, they’re committed to creating opportunities for families and business owners by offering fair financial solutions and honest advice. They understand that financial services are about much more than money. At the heart of every banking transaction is a real person – someone who dreams of buying a house, starting a business, or saving for retirement. When you’re ready to bank better, bank at Union. Learn more at bankatunion.com. Member FDIC. Businesses trust Bank of America Merrill Lynch for complete financial solutions and guidance. Whether you are seeking to fund growth, enhance cash flows, do business internationally, reduce risks, support employees, or grow personal wealth, we work with you closely to help deliver our powerful platform — locally and globally. Your dedicated relationship manager, Alicia Pitorri, develops a deep understanding of you and your business and works with a team of specialists who tailor financing, treasury, risk and wealth management solutions to help meet and anticipate your evolving needs. Cottonwood | Commercial is a commercial real estate brokerage located in Harrisonburg, Virginia and was established in 1970. Cottonwood is the market leader and the largest commercial brokerage in the Shenandoah Valley and focuses exclusively on real estate services related to commercial and investment real estate transactions. Since 1881, F&R has grown from a local Richmond chemical laboratory to the oldest and most experienced independent testing and inspection consultant in the United States. During that time we have been at the forefront of industry advances in drilling, geotechnical engineering, construction materials testing and environmental services. We have served every market sector from landfills, energy and heavy industry to government, educational and cultural offering engineering and environmental solutions that are innovative yet practical. No firm has been doing what we do longer or better. Founded in 1960 under the name Lantz Homes Inc., Lantz Construction has since become a majority employee-owned company with a team of construction professionals that keeps clients returning, project after project. The team’s experience, attention to detail, and dedication deliver high-quality craftsmanship and peace of mind to our clients. A leading accounting and business consulting firm serving the U.S. and international clients, with offices in the Mid-Atlantic, offering a full range of financial and business advisory services, including management consulting, pension plan design and administration, investment management, accounting and auditing, and comprehensive taxation and tax planning.